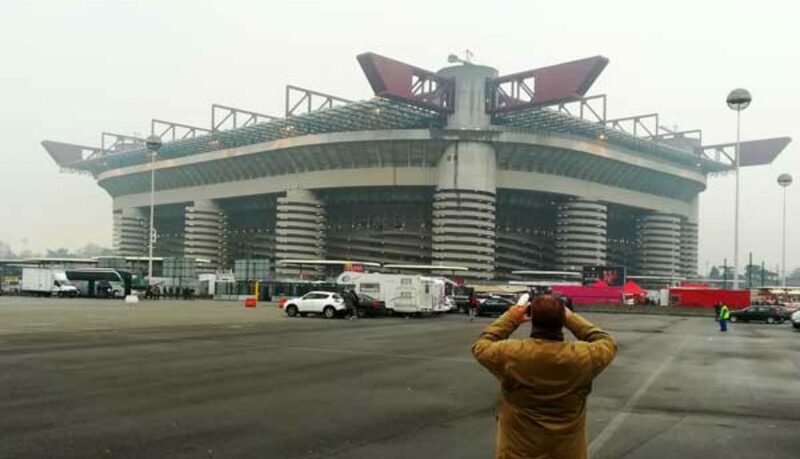 The San Siro stadium in Milan, the home ground of both Internazionale and AC Milan soccer clubs, is officially named after the two-time World Cup winner (1934 and 1938), Giuseppe Meazza. 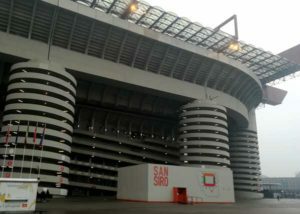 But the stadium is more commonly known as “the” San Siro, after the district in which it is located (and the patron saint of Milan). Although it is originally from 1925 the stadium underwent major modernization for the 1990 World Cup games. It has now three tiers and a capacity of 80.000. 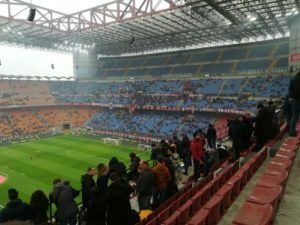 We went to see a game, AC Milan – Crotone, yesterday and although the level of playing was not that high it was quite an experience. 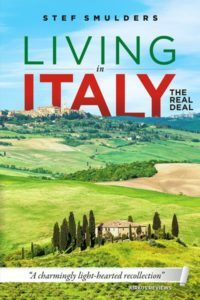 AC Milan is struggling this season, again, even after having bought an entire new team, spending hundreds of millions and Crotone is in the bottom region of the Seria A in only its second season in the top league. We had (very tight) seats in the second tier and from up there the field seemed much smaller than on television. Paradoxically, the field also looked rather empty even with both teams, 22 players, on it! The passing now also appeared much more risky than we expected from the tv reports and the play seemed to develop rather slowly. And, another weird experience, there is no replay of course (although they might in principle, show these on the large screen in the stadium) so you are constantly left with a bewildered „what happened?” Two Milan goals were cancelled by the referee and we could not understand why. We missed it and there was no replay to check. Conclusion: if you have never been in a (large) soccer stadium it is definitely worth the experience. Our tickets for excellent positions cost 35€. Come early and enjoy the atmosphere of diehard Milan fans arriving, take a snack and a beer at one of the many foodstalls outside and see the stadium slowly fill up and being decorated by the tifosi from all over the country! Under the southern terrace outside the stadium, you will find the San Siro Museum. Guided tours (in English) of the stadium are possible in combination with a visit to the museum. Tickets for AC Milan games are available at the Best Ticket website. Tickets for Inter can be bought at their website or at the few selling point in the city like the Ricordi media stores in the Galleria Vittorio Emanuele II and Il Sipario Mondadori Multicenter at Piazza Duomo.